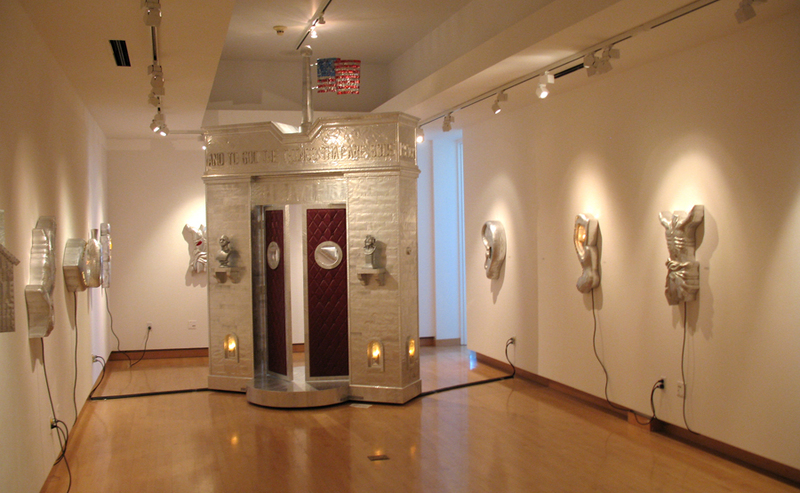 Over the span of Patrick Luber's career he has explored the serious and humorous intersection of religion, national identity, popular culture, and folk art as they relate to American culture. His sculptures are unified by his use of referential objects as sculptural form, especially familiar objects, such as beds, books, architectural forms, or liturgical objects. Through the manipulation and combination of these ordinary objects, a visual language emerges which expresses the idiosyncratic experiment called America.